Efektor Terakreditasi Sinta 4. We invite researchers and academics to publish research results in the Jurnal Efektor which will be published in Maret 2019. The scope in this Journal covers the areas of Learning and Education. 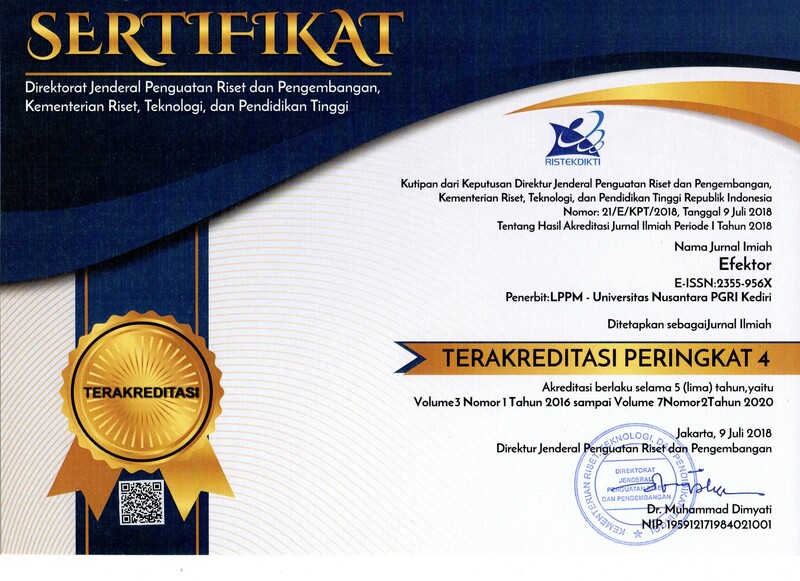 Jurnal Efektor has been indexed in Google Scholar, IPI, Onesearch, ISJD, Base, OAJI, JF, SINTA, ESJI, ROOTINDEXING, PKP Index and Researchbib.